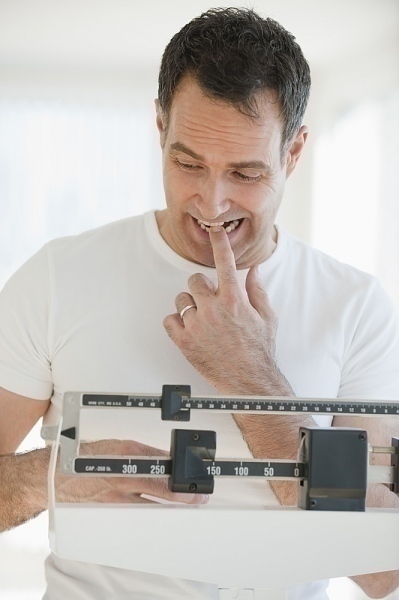 When one considers the current dilemma on weight issues that many people face today, you might be prompted to wonder what your ideal weight should be. There are methods you can use to determine what your weight should be. One of the standard tools that have become well used today is called a body mass index. It is a certain measure of your body fat using your height and weight as a basis. Using your body mass index is a great way to determine if your weight is normal or not. For one thing, it is easy to calculate and will only require basic individual information that you can easily gather for yourself. The calculation of a body mass index also applies both to men and women. From this we can say that it is a quick and easy tool that anyone can use to determine their ideal weight. Your body mass index is easy to calculate and the data you need to gather are easy to get. All you need is a measurement of your height and your weight. You can either use metric or even standard measurements to determine your body mass index. Once you have both these figures, you can set out to calculate your BMI and determine your ideal weight. To calculate your BMI manually, all you need to do is to divide your weight by the square of your height. You can also look up BMI calculators on the Internet to make things easier. Just enter your height and your weight and your BMI will be calculated for you. There are four categories wherein your calculations can fall under. These may be used to determine your ideal weight. You are generally considered to be underweight if your score is lower than 18.5. If the figures you come up with fall within 18.5 to 24.9 then you are under the normal range for your height and weight. You are considered overweight if you score 25 to 29.9 and obese if you get anything from 30 and above. A good tool to couple with your BMI is a measurement of your waist circumference. This is really helpful in case you are classified as overweight. This further reinforces whatever results you get in your calculations. A woman who is overweight and whose waist measures more than 35 inches is at risk for certain health problems. This is also true for overweight men with waists measuring 40 inches or more. Both these tools help determine your ideal weight and serve warnings for possible health problems.